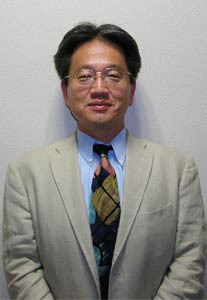 Professor Masaki KUROKI　, Ph.D. Professor Masaki Kuroki went to the USA, a nation with an advanced infrastructure for entrepreneurial support, to launch a business in 1986. While there, he received an MBA from Gonzaga University, in December 1990. He served as Visiting Associate Professor at the University of Nebraska, Omaha, from 1992 to 1995. He enrolled in the doctoral course of Rensselaer Polytechnic Institute in New York State from 1995 to March 1999 and obtained a PhD in business administration. 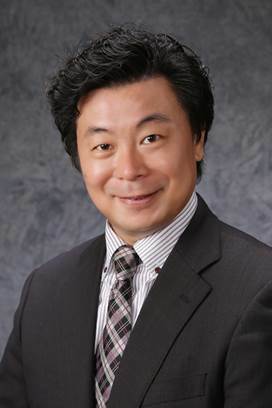 Since 1999, Professor Kuroki has worked for the College of Business Administration of Ritsumeikan University. Since 2007, he has served as Professor of the College of Business Administration and as Professor of the Graduate School of Technology Management. He was on the Advisory Board of the Japan Entrepreneurship Education Network for Higher Education, sponsored by the Ministry of Economy, Trade and Industry, from 2008 to the present. He is also serving as a member of the Working Team for Promoting Regional Employment Creation, sponsored by the Ministry of Health, Labour and Welfare, from March 2013 to the present. The core principle I cultivated during my time in universities in the USA is to foster stronger individuals and entrepreneurs as an essential prerequisite to activating the economy and society. In the early 90’s, I taught at the University of Nebraska and had engaging discussions with many American students. I realized that Japanese students have less “power to live as an individual” than their American counterparts. In Japanese society, where the lifetime employment system and the seniority system have long been respected, people are educated on the premise that learning to belong to a group or an organization is the most valuable thing they can achieve. This is instilled from early childhood, and diminishes the power and responsibility needed to live as an individual. In the global society of the 21st century, it is important to have entrepreneurial skills, to be fully aware of one’s self-responsibility, and to live as an individual without necessarily belonging to an organization. Professor Hironobu Tamaki joined MITSUI & CO., LTD. in 1988. As a member of Mitsui, he was involved with venture investment as a representative resident in Silicon Valley. After returning to Japan, he was engaged in strategic planning at the IT Business Unit of Mitsui, and managed their private equity fund. In 2000, he became Representative Managing Director of AOL Japan. When Mitsui sold shares of AOL Japan, he took the occasion to found Golf Digest Online Inc with a group of friends . Golf Digest Online went public on the Mothers section of the Tokyo Stock Exchange in 2004. After retiring from his COO[d4] position at Golf Digest Online to pursue new ventures, he founded a coffee shop chain, Satura Cakes Inc., in Silicon Valley. He sold Satura Cakes Inc. in 2010. Then, in 2012, he assumed his current position at Kyushu University. He majored in solid-state physics and graduated from the College of Arts and Sciences, the University of Tokyo. He also graduated with an MBA from Harvard Business School and Doctor of Commerce from Waseda University. Starting a business delivers the ultimate question of how well you can apply all of your skills to your life. Your intellectual abilities, physical abilities, and personality will be tested. Like climbing Mt. Everest, a business start-up requires a sufficient amount of preparation and guidance. Obviously, you will not be able to get sufficiently prepared while just attending undergraduate or graduate courses. I believe that my class will provide students and the faculty with a place and opportunity to meet and interact, and I look forward continued relations with my students who aim to start a business. It will be my pleasure to be your guide on the path toward your successful future. President and CEO of Drug39 Co.,Ltd. President of Segment ON2 Co.,Ltd. Visiting Professor Kenji HIRANO was born on May 28, 1959. He graduated from Faculty of Commerce and Management (accounting), Hitotsubashi University in March 1982. He obtained MBA (marketing) from San Francisco State University in January 1985. He became president of Drug39 Co., Ltd. in July 2003, and president of Segment ON2 Co., Ltd. in April 2012. 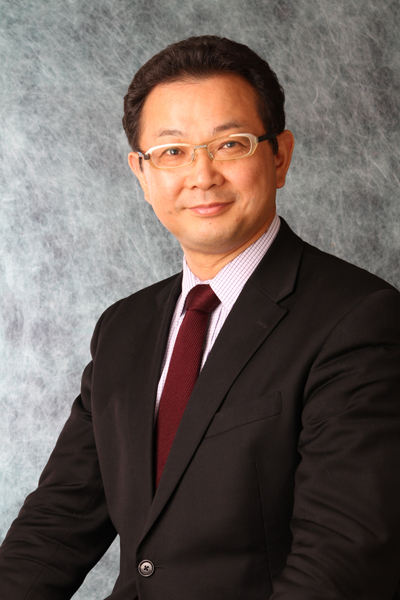 He became a director of the Nippon Pharmacy Association in April 2014. He won the MCEI Executive of the Year 2014-15 award in June 2015. When I came into contact with the interactive mode of teaching on my MBA course in the US, it was like having a new breath of life after the Japanese way of university teaching consisting of listening to lecturers, reading books and writing a thesis, a way of learning I never felt comfortable with. Basic knowledge is of course essential, but practical learning really consists of finding out how to use this to think, organize people and create a business. In my lessons I hope to build up training through practicals, seamless thinking, and questioning and answering things with my students. I hope that my tuition will prove to be enjoyable. Technology Management, Graduate School of Economics, Kyushu University. He has changed his job to PwC Consulting LLC from September 2017. His current work based in Tokyo centers on leading teams (Regional Innovation Teams) with the theme of regional revitalization nationwide. While utilizing cutting-edge technologies, his team is working on a completely new business modeling that focuses on “post-regional revitalization”. He has lectured to the Japan Department Stores Association, at many business seminars, and held numerous posts as a business plan competition judge, Startup Weekend coach, and consultant to local authorities on projects. He is a Registered Management Consultant, 1st grade Certified Skilled Worker of Financial Planning, and holder of an MBA. World-scale changes are underway at an amazing speed with the onset of the borderless business trend, the fusion of real and virtual, and the digital smart society. On the other hand, fresh business opportunities are arising with the need to cope with the emergence of new economic powers and changing consumption patterns. It is during the tumultuous period of uncertainty like the age we live in that I want to help foster entrepreneurs who can look at things with both a global and local outlook, and solve social problems. In order to do so, I will use my experiences at consulting firms, which boasts the world’s largest network, to provide “passionate” lectures for my students! 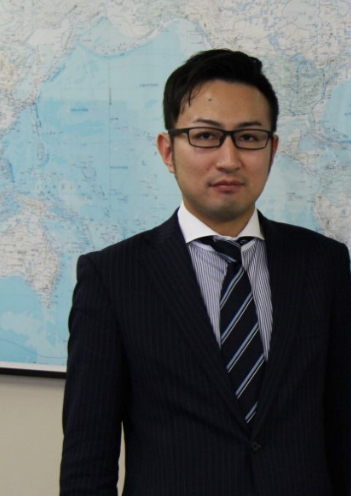 After joining the Ministry of Economy Trade and Industry, Mr. Shuhei Ishimaru worked at the Minister’s Secretariat in the Policy Evaluation and Public Relations Division and then as an official at the Director-General’s Secretariat Office for Policy Coordination within the Small and Medium Enterprise Agency. He subsequently left the Ministry and joined PricewaterhouseCoopers (PwC). In April 2015 he took up his present position at the FDC. He is a Visiting Associate Professor at Kyushu University, and is also active as the director of the advisory board for the Avispsa Fukuoka professional football team; a member of the board of the Future Center Alliance Japan (FCAJ); the executive director of Kyushu University’s Regional Policy Designer Training Program; and an Advisory Fellow of the Institute for Future Asian Football (IFAF). He also holds public offices such as Administrative Advisor for Iizuka City, Fukuoka Prefecture. The world that we are now living in changes from moment to moment. There is no such thing as a world that we can easily imagine based on the present day or the past. Every single day innovation is taking place somewhere in the world, and the newly created products and services are all dramatically changing accepted common sense and our lifestyles. In order to adapt to the unpredictable future and tackle the policy issues we now face, there is a need for us to always keep up with the latest innovation and prepare our society into one that can accept these changes. I am very much looking forward to meeting the young people who will take on these challenges and the entrepreneurs of the future.